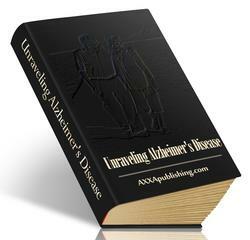 DSM-IV-TR defines subtypes of AD: With Early Onset (<65 years); With Late Onset ( >65 years); With Delusions; With Depressed Mood; Uncomplicated and/or With Behavioral Disturbance (e.g., wandering). In addition to memory impairment, diagnosis can include aphasia (deterioration in language function), agnosia (impaired object recognition), and apraxia (impairment in motor activity execution). AD is a disease of slow onset and gradual decline. Mild cognitive impairment (MCI), characterized by isolated episodes of long-term memory impairment, is thought to be the precusor of AD as 40-60% of MCI patients progress to AD within 3-4 years. 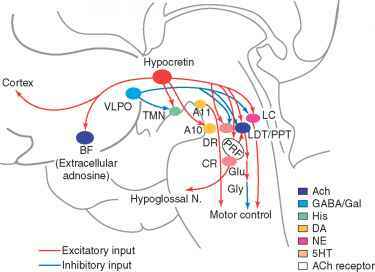 The initial hypothesis for AD causality was the 'cholinergic hypothesis'14 based on a loss of forebrain cholinergic neurons in AD that led to the first generation of palliative therapy for AD, the cholinesterase inhibitors, e.g., tacrine, donzepil, galanthamine. The two pathophysiolgical hallmarks found at autopsy are amyloid deposits, principally A^42 and neurofibrillary tangles (NFTs). Some 20 missense mutations in A^42 producing proteins/enzymes have been identified in linkage studies in AD patients. Hyperphosphorylation of the low-molecular-weight microtubule associated protein tau has been implicated in the formation of paired helical filaments (PHF) which aggregate to form the neurofibrillary tangle (NFT). Reactive gliosis and microglial activation are also found in the AD brain with increased levels of inflammatory mediators supporting an inflammatory hypothesis of AD. The only currently approved treatments for AD are the palliative acetylcholinesterase inhibitors donepezil and rivastigmine, which act to increase brain acetylcholine and offset aspects of the cognitive decline during early stages of the disease. The efficacy of these compounds is modest and short-lived as the disease progresses. Based on the newer hypotheses of AD causality there are four active approaches to identifying new drugs to treat AD: (1) preventing or reducing A^42 formation; (2) reducing tau hyperphosphorylation; (3) inhibiting neuronal apoptosis; and (4) reducing brain inflammation. Progress in these initiatives has been slow. Inhibitors of the enzymes responsible for the formation of A^42 have been difficult to develop in the absence of true animal models of AD while a novel vaccine approach to aid in the clearance of A^42 encountered toxicity problems in clinical trials. Enzyme inhibitors to prevent tau hyperphosphorylation have also been difficult to identify given the multiple sites on tau amenable to phosphorylation and the diverse group of kinases that can act on these sites. Based on a positive retrospective analysis of the efficacy of the nonsteroidal anti-inflammatory drug (NSAID) indomethacin, reducing brain inflammation appeared to hold promise for AD treatment. However, prospective trials with both NSAIDs and COX-2 inhibitors have shown ambiguous outcomes. In all three instances, safe, efficacious, and brain bioavailable NCEs that are selective for discrete molecular targets will be necessary to provide proof of concept for disease etiology.